This business is in the PINK! The long awaited Pink store at 154 S. Madison, in the former Luminaria lighting store location, is open. The business, owned by a partnership of women including Celeste Shaw (owner of Chaps), Chris Lynch, Lana Neuman and Erica Parish, is one of the most unique in Spokane. It features a wide variety of eclectic antiques, reclaimed and salvaged items that have been crafted into unique furniture, home and decor items. A unique art gallery also showcases colorful artwork by Chris Lynch. Young, talented, motivated and crazy good at what they do. Shakers and Movers...every one of them! 20 young business professionals under the age of 40 will be recognized for achieving great things in their professional careers at Inland Business Catalyst magazine's annual 20 under 40 Party at Barrister Winery, 1213 West Railroad Avenue, Thursday July 7 from 6 to 9pm. Movers and shakers every one of them! Mike Gonzalez News Anchor from KXLY Channel 4 and past 2010 winner of the 20 under 40 Award is the emcee! Come and celebrate and enjoy music by the Vagabonds Traveling Show, a lively, gutsy and eclectic Blue grass band from Spokane. 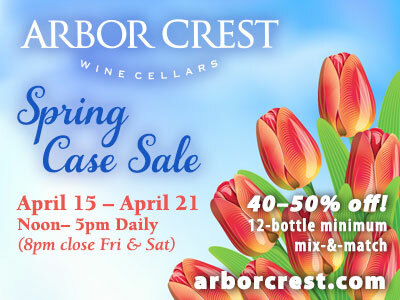 Drink great award winning wines from Barrister Winery and eat delish cuisine provided by Beacon Hill Events. Tickets are $28 and can be purchased at www.spokane20under40party.eventbrite.com. Beginning with the premier edition this July, complimentary issues Spokane Metro Magazine will be available to all guests residing in the historic Davenport Hotel and Hotel Lusso. Spokane Metro Magazine is dedicated to keeping readers abreast of the culture, politics, players and progression in the Inland Northwest. As a publication that is passionate about exposing the benefits of city life, this arrangement with The Davenport Hotel and Hotel Lusso will give all of their out-of-town visitors a chance to take a complimentary edition of the magazine and get a modern look at what makes Spokane such a dynamic city to live in. Offering bold editorials, stunning photography, and a contemporary design, the goal is to give each guest at the Davenport and Lusso a reason to explore the best that Spokane has to offer. Each month there will be new profiles, informed commentary, in-depth dining and cultural reviews, stimulating features, and authoritative guides that will reveal the untapped side of the city's growing marketplace. A new Dutch Bros Coffee location is about to open at Fourth and Freya near Fred Meyer. State Representative Kevin Parker and his wife Kerry own the Dutch Bros coffee business in Spokane with three outlets...2nd and Washington, Sharp and Division and 1010 West Francis. The new Fourth and Freya location will employ 6 to 10 workers. Candy Widmer is a graphic designer, an artist and a licensed massage therapist. She has combined all three professions into a business called Massage by Design next to the Millwood Gallery at 9011 E. Euclid. She offers healing massage, fine art and graphic design. You can learn more at the website massagebydesignspokane.com. Nearly 10,000 Spokane County jobs and $741 million in annual visitor spending - these figures are the direct result of our regional tourism industry. The Convention and Visitors Bureau is planning two sessions to give you the chance to share your ideas on our region as strategic plans are developed for tourism promotion and destination positioning. They are scheduled for Tuesday, July 12 at Quality Inn 4th Avenue from 5:30-7pm or Wednesday, July 13th at CenterPlace in Spokane Valley from 3-4:30pm. The sessions are free, but they would like to know you're coming. 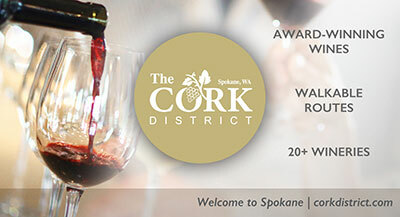 Go to visitspokane.com for registration and more information. Camp Fire USA Inland Northwest Council has hired Maggie Crabtree, APR, as its Marketing and Communications Manager. She formerly worked at Spokane Masonic Center as its Development Director, and Shriners' Hospitals for Children-Spokane as Public Relations Director. Crabtree holds a Bachelor's degree from Eastern Washington University, is nationally accredited in public relations through the Public Relations Society of America, serves on the board for the Spokane American Advertising Federation, and, is a member of the local Spokane Regional MarCom Association. Crabtree is responsible for supporting communications and marketing efforts for the Inland Northwest Council of Camp Fire USA which provides leadership development programs for boys and girls in Eastern Washington and Northern Idaho through memberships, local club groups, and three camps; Camp Dartlo in North Spokane, Camp Sweyolakan in Coeur d'Alene, Idaho and Camp Aowakia in Kellogg, Idaho. Waterglider, LLC. has leased approximately 4,000 square feet of space in Building #12 of the Spokane Business & Industrial Park at 3808 N. Sullivan Road, Spokane Valley. Their primary business is distribution of books and toys. Contact is Sean McLaughlin 509-868-4345. Oregon Metal Slitters has leased approximately 40,000 square feet of space in Building #27 of the Spokane Business & Industrial Park at 3808 N. Sullivan Road, Spokane Valley. Their primary business is steel processing and distribution. Contact is Hans Polte, Operations Manager 503-286-0300. Pyrotek Incorporated has leased approximately 40,000 square feet of space in Building #27 of the Spokane Business & Industrial Park at 3808 N. Sullivan Road, Spokane Valley. Their primary business is manufacturing. Contact is Dave Jolie, Division Manager, 509-343-2918. Townshend Cellar, Inc. has leased approximately 12,000 square feet of space in Building #18 of the Spokane Business & Industrial Park at 3808 N. Sullivan Road. Their primary business is warehousing of wine and related products. Donald G. Townshend, Owner, 509-238-1400. American Alloy, LLC has leased approximately 60,000 square feet of space in Building #11 of the Spokane Business & Industrial Park at 3808 N. Sullivan Road, Spokane Valley. Their primary business is fabrication, machining, and other similar processes. Contact Garrett Guinn, Managing Member 509-921-5794. This year, over 120,000 church and business leaders will gather for The Global Leadership Summit broadcast live via satellite from the Willow Creek Community Church, Chicago to more than 185+ satellite sites across North America. Life Center Four Square Church, 1202 N. Government Way in Spokane is one of those sites. Be a part of the growing global coalition of servant-oriented, fired-up men and women committed to becoming better leaders. The speakers this year include Howard Schultz, Chairman & CEO of Starbucks; Erwin McManus, Activist, Filmmaker and Cultural Architect; Dr. Henry Cloud, Clinical Psychologist, Leadership Consultant; Seth Godin, Bestselling Author and Renowned Marketing Blogger and Rev. Dr. Brenda Salter McNeil, Speaker, Thought Leader, to name a few. To register online, visit www.lifecenter.net/summit. For more information, www.willowcreek.com/summit. Marketing Associates of Spokane will hold their monthly meeting Thursday, July 14th from 11:30 a.m. to 1:30 p.m. at The Lincoln Center, 1316 North Lincoln Street, Spokane. This unique MAS meeting in July featuring roundtable topics facilitated for discussion by some of the industries marketing and business development experts. Bring your questions and ideas to share as you move through these topics and 15 minute discussion periods. Topics will include: Marketing with Limited Resources, Client Maintenance Techniques and Strategies, Unique Marketing Materials and Tools, and Social Media Impacts on the A/E/C Industry. RSVP per the MAS website www.maspokane.org by July 11th. Lunch will be provided at a cost of $20 for members and $30 for non-members. For more information contact Meg Lindsay at 509-455-4448 or mlindsay@dci-engineers.com with any questions. American support for military veterans can be seen all around us: people proudly displaying yellow magnets on their cars, flying the American flag, greeting soldiers at airports when they arrive home from serving their country. But Peter Pirrello, owner of Killing Machine Choppers motorcycle shop in Old Town, Idaho, is taking his support of veterans a giant step further. While not a veteran himself, Pirrello is a proactive supporter of veterans and veterans' organizations in the northwest. His third fundraising event on behalf of veterans will be on July 15-17, at Killing Machine Choppers, 311 N. Idaho Avenue, Old Town. Proceeds from the event benefit the American Legion Riders of Spokane, devoted to veterans and veterans' causes, and Second Shot, an organization dedicated to helping veterans overcomes stresses and other problems experienced when adjusting to civilian life. The event is run entirely by volunteers including the musical entertainment featuring Voodoo Church and Coyote Rose. A highlight of the benefit is the raffle, which includes $25,000 in custom airbrush painting donated by Killing Machine Choppers and Perry Mallet, an internationally famous airbrush artist.